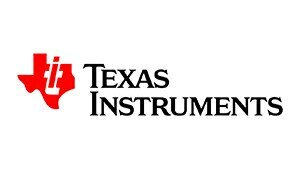 Texas Instruments Incorporated (TI) is a global semiconductor design and manufacturing company that develops analog ICs and embedded processors. By employing the world's brightest minds, TI creates innovations that shape the future of technology. TI is helping more than 100,000 customers transform the future, today. Texas Instruments (TI) is one of the largest semiconductor design and manufacturing companies in the world. That means we make amazing technology that is inside many of the most innovative electronic products you use every day. For example, you may not have realized it but TI technology is at the heart of the VEX IQ controller and many TI components are used inside the device. We want to challenge you to look at your world with the eyes of an engineer and explore the inner-workings of an electronic device of your choice. Once you choose a product, you will deconstruct the device, catalog what you find inside, and then submit a final report with your findings on what you discovered. SAFETY TIPS: Before starting this challenge, make sure to have your chosen device approved by your team coach/leader/mentor/parent for safety purposes. Also note that some devices contain capacitors that hold a charge, and extreme caution should be used if the device has a capacitor. Any electrical device that contains a power source must be disconnected or removed before disassembly (unplug all cords and remove all batteries). You must wear safety glasses during the disassembly process. Entrant grade range: Elementary school, middle school, high school, university. VEX competition team requirement: Entry must be from a VEX IQ Challenge, VEX Robotics Competition, or VEX U team registered for the current season. Entries submitted in previous Online Challenges are not eligible for submission. Only one entry per challenge is permitted by the same person (if an individual entry) or team (if a group/team entry). Each team in a multi-team school or club program may submit an entry. For example, teams 123A and 123B could each submit an entry, but team 123A could not submit two entries. Introduction identifying the electronic device you selected and why. Summary of the chips and components you found inside. Were any TI components? Research findings of what these components do and the role they play in the system. Conclusion. What were the lessons you learned from this experiment? In addition to the final report, you may add short captions to your photos (not more than 25 words each) and parts lists of components that you have discovered. These do NOT count against the 500 word limit for the summary report. Include at least four (4) photographs of you and/or your project (does not count towards length). Upload the Final Summary Report document and all supporting photos (maximum file size: 20MB per photo) directly to this online challenge site during the submission process. In the Edit Options box in the upper right of the screen, click the blue Files/Images button to add files (Summary Report) and photos (if separate from the report doc) to your entry. Be sure to edit/name/caption the files according to the Requirements for this challenge. Your complete submission will now show when you click the blue All Entries button to view the challenge entries. Judges will select at least ten finalists from the submitted entries and will take community voting results into account in making their choices. The finalist submissions will then be judged by additional selected professionals whose scores will be combined with the preliminary-round judges’ scores to determine the winner of the challenge. Clear presentation of findings and organization of content. Thoroughness of research on the components you found. Quality of writing, spelling, and grammar. Visual documentary of your project through the photographs.